Every March 17 around the world, people dress up in the colour green, attend parties and celebrations, and raise a pint of Guinness beer to the patron saint of Ireland, St. Patrick. Celebrating the feast of Ireland’s patron saint goes back a long time — to the 5th century. Today in Ireland, it’s more of a party for St. Patrick, as this religious and cultural festival is celebrated around the country with festivals, parades, fireworks, pints and plenty of green. St. Patrick’s Day (referred to as St. Paddy’s Day by the locals) has an interesting history and an equally interesting modern expression. Historically, the day commemorated Saint Patrick and the arrival of Christianity in Ireland. In medieval times, the Irish would celebrate the Feast of St. Patrick with a pilgrimage to a sacred place (usually a holy well or chapel) and a mass or prayers held on the holy location. 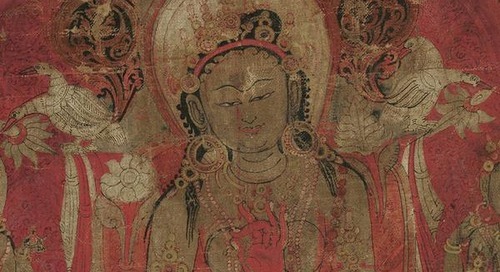 This was followed with festivals involving food, music, dancing and games. Since St. Patrick’s Day fell during Lent, Christians welcomed this break from the austere rules observed during the season. Even those who had sworn off alcohol for Lent would often treat themselves to a tot of pota Phádraig (Patrick’s Pot) to honor Ireland’s patron saint. Today, St. Patrick’s Day highlights Irish heritage and culture. Across Ireland, different regions and towns have their own unique ways to celebrate one of Ireland’s biggest holidays. 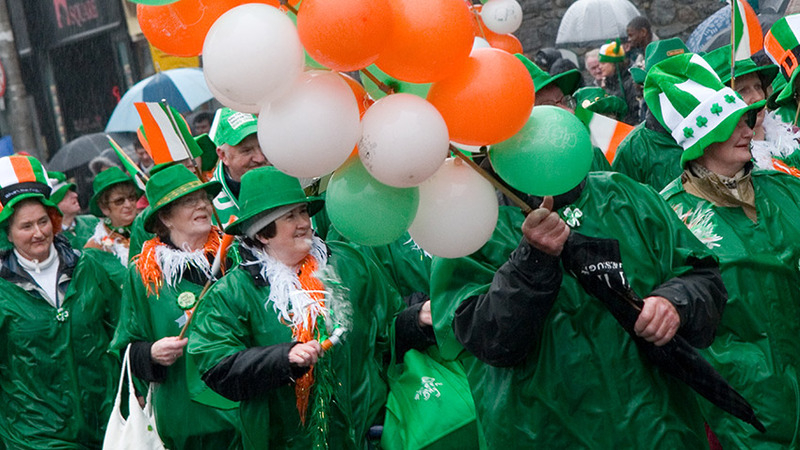 Ireland’s capital city is home to the biggest St. Paddy’s Day celebration in the country. Hundreds of thousands of people take to the streets, decked out in wild and fantastical green costumes, to celebrate with an extravagant four-day festival. 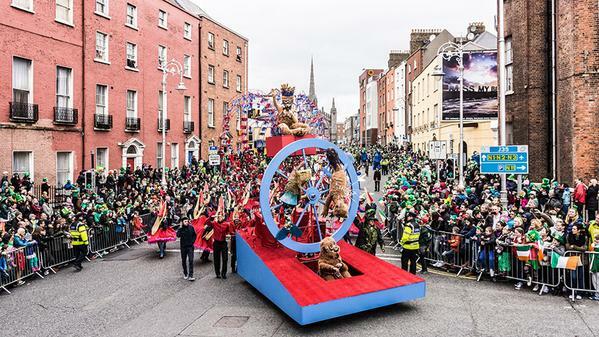 Dublin hosts an elaborate parade, themed events, a treasure hunt through the city, street performers, guided pub crawls and an awe-inspiring fireworks show over the Liffey river. Both locals and plenty of overseas visitors attend Dublin’s St. Patrick’s Day festivities. Dublin holds the distinction of holding the largest St. Patrick’s Day parade in Ireland. But the celebration of March 17 with a parade did not actually come from Ireland, instead it started in New York City in 1762. Irish soldiers serving in the English army marched through the streets of New York to celebrate St. Paddy’s Day. The idea was a success and quickly spread to Ireland. Dublin's home to the largest St. Patrick’s Day in Ireland. Photo courtesy William M.
Galway, located on Ireland’s west coast, is a popular alternative to Dublin’s crowd-crushing celebration. In classic coastal style, the festival is more laid-back, with a heavy focus on arts and culture. Galway is in fact known for its arts culture, and this reputation is reflected in the dynamic, arts-centred celebration. This vibrant town has been celebrating St. Patrick’s Day with a big parade for more than 113 years. A local theatre group, called the Macnas, recently included more performers, dancers and actors in the festival, keeping it a lively, engaging event. The Galway St. Patrick’s Day celebrations also feature comedy, children’s art and plenty of live music. A little rain won't stop these Paddy's Day partakers. Photo courtesy Nigel W.
Ireland’s second-largest city and home to its second-largest St. Patrick’s Day festival (though Downpatrick would argue otherwise), Cork kicks off St. Patrick’s Day with big bands and the best of traditional Irish music. Festival-goers can enjoy comedy, performers (including magicians, circus performers, puppeteers and jugglers), plenty of tasty food to try and a large parade. Cork’s St. Paddy’s Day party includes arts and sporting events, music and a crafts market. There are also large-scale floats and street theatre installations. The town of Dipsey, near Cork, boasts the shortest St. Paddy’s Day parade, which covers a whopping 100m (328 ft) between two pubs in the village! 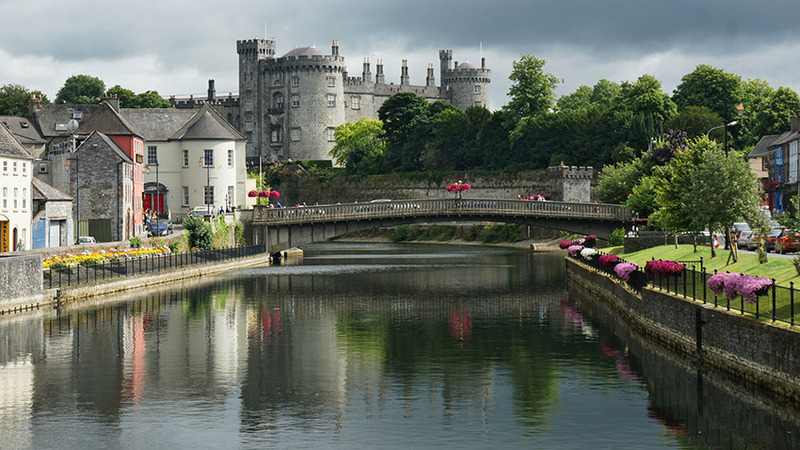 Home to a stunning 800-year-old castle and one of the most beautiful historic towns in Ireland, Kilkenny is a picturesque place to enjoy the day (and the setting may just transport travellers back to medieval times). Another of Ireland’s arts and culture centres, the focus of this St. Patrick’s Day festival is on Ireland’s heritage and culture. Kilkenny’s events include many international musicians and artists, the classic Irish parade, food-focussed events in pubs, and even a party in the castle. Kilkenny sure sets the scene for a picturesque parade. Photo courtesy Stefan J.
Downpatrick and Cork often duke it out for the title of the town with the second largest St. Paddy’s Day party outside of Dublin. Located in County Down in Northern Ireland, Downpatrick is rumoured to be the burial location of St. Patrick himself, making it a notable location to celebrate the saint’s feast. One of Ireland’s most historic towns, Downpatrick spares no expense to honour its namesake and throw a huge party to celebrate over the St. Patrick’s Day weekend. G Adventures runs a number of departures in Ireland encompassing a wide range of departure dates and activities to cater to different tastes. We’re thrilled at the prospect of showing you this big blue planet of ours — check out our small group trips here. 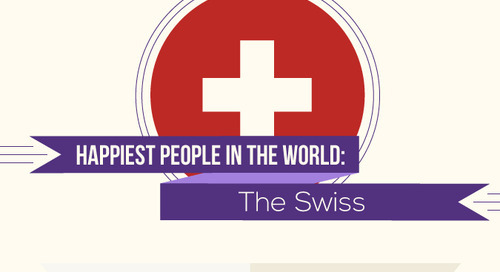 We shine a light on countries that take happiness (and travel) seriously.